A comic book styling that looks all too familiar to Capcom’s fighting game is prevalent. A long time ago, before the beginning of time (i.e. 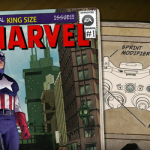 when Marvel wasn’t known for the Avengers movie), EA hooked up with Marvel for a video game publishing deal. What came of this was the godawful Marvel Nemesis: Rise of the Imperfects. 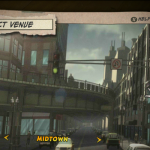 It since came to light later that EA Chicago, known for the Def Jam series, was working on a 3D fighting game that was later cancelled. 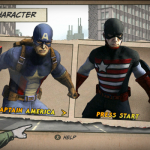 Now, an artist who worked on the project has released some new concept art for the game which shows playable characters like Spider Man, Hulk and Captain America. 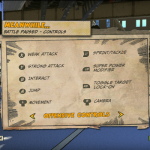 Control scheme is also indicated with weak attacks, strong attacks, a run button and lock-on, which sound the controls for an arena style fighter. 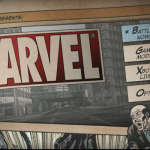 However, even more interestingly, all of the assets have a comic book styling similar to Marvel vs Capcom 3, the crossover fighting game developed by Capcom. 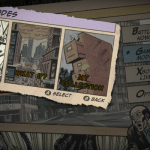 That series has been around much longer, but the idea of an interactive comic book does look remarkably similar. What do you think? Did Capcom have a peek at these assets and decide to implement them into their game?